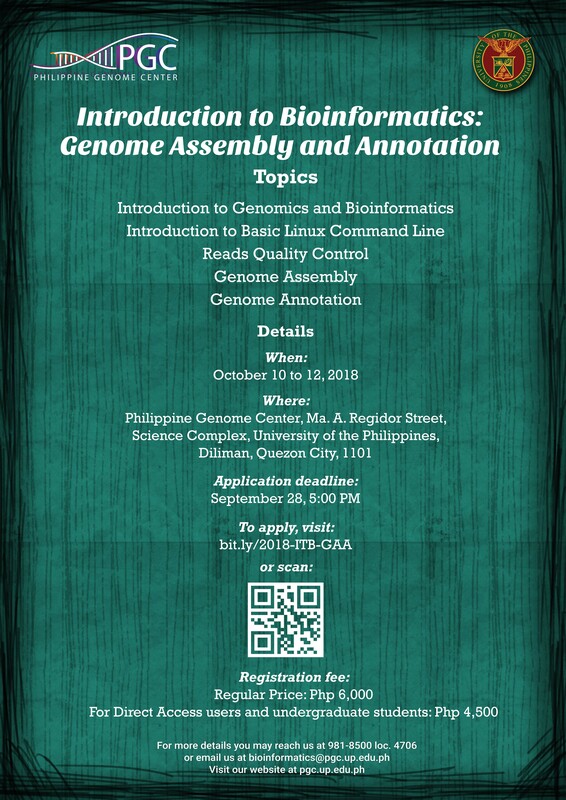 The workshop will cover basic concepts, applications, and workflows that address typical genomics-based problems. 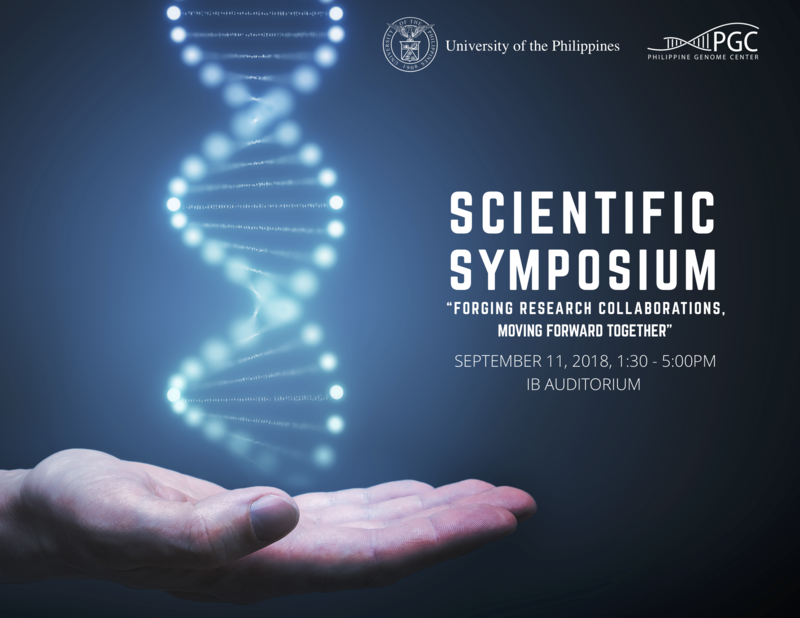 To commemorate the inauguration of its PGC Building in UP Diliman on September 11, the PGC is organizing a scientific symposium to further expand opportunities for research collaboration with SUCs, HEIs, and research institutes in Luzon, Visayas and Mindanao. 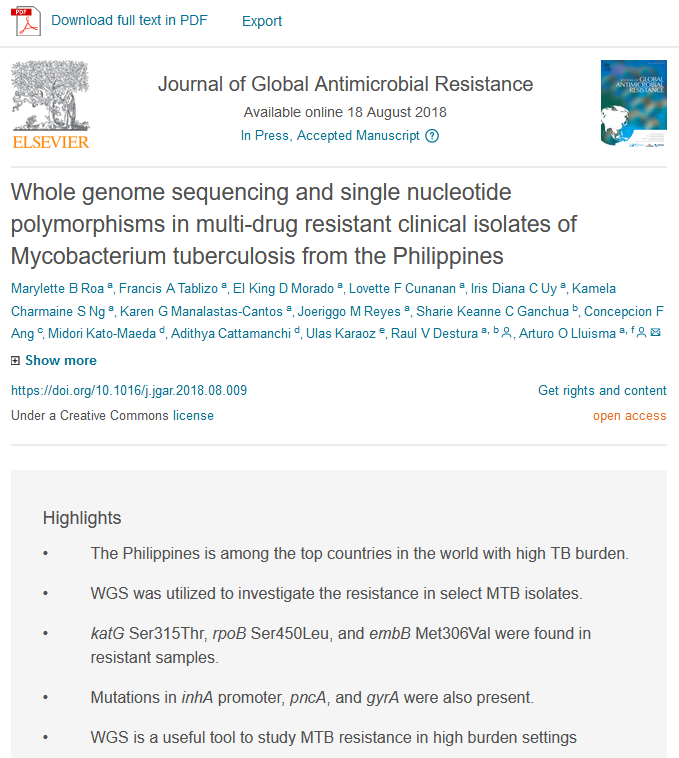 Thousands of cases of multi-drug resistant Mycobacteria tuberculosis (MTB) have been observed in the Philippines but studies on the genotypes that underlie the observed drug resistance profiles have been lacking. 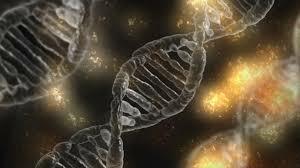 This study aimed to analyse whole genomes of clinical isolates of MTB representing varying resistance profiles to identify single nucleotide polymorphisms (SNPs) in resistance-associated genes. While bioinformatics is essential in the life sciences, relatively few biologists have the expertise to conduct in-depth computational analyses of their data. 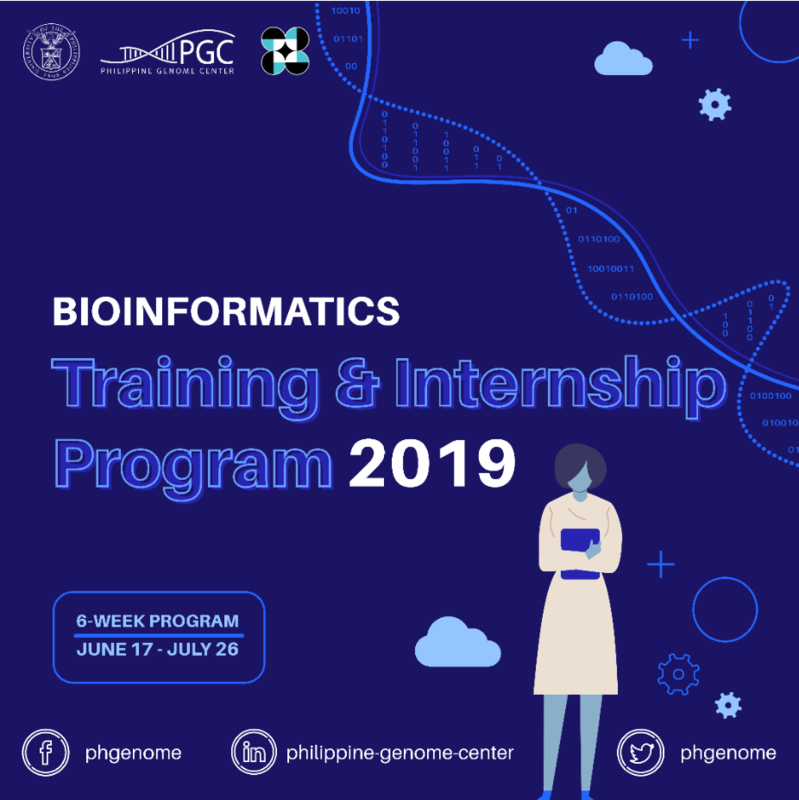 The realm of bioinformatics is mostly handled by computer programmers and IT professionals, who carry the tasks of analyzing, organizing, and storing data produced by molecular biologists. Held usually at 3:30pm on Fridays, TGIF discussions are informal talks on current scientific topics and events. 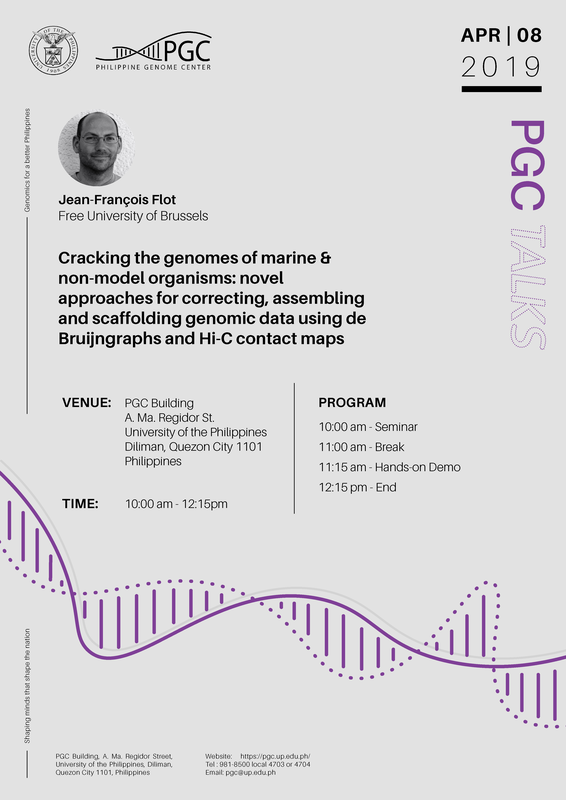 The Philippine Genome Center (PGC) conducted an introductory molecular biology workshop at the DOST-PCAARRD Innovation and Technology Center (DITC) in Los Baños, Laguna on March 3, 2017. 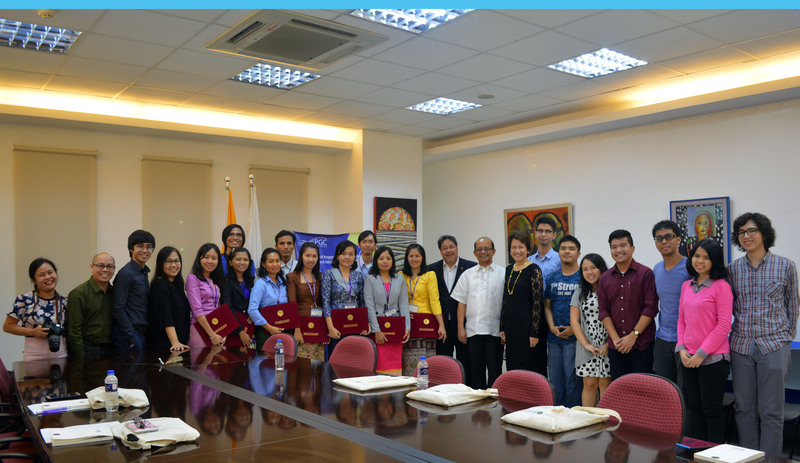 Three members of the DNA Sequencing and Bioinformatics Facility of the Philippine Genome Center (PGC) attended the recently concluded Winter Institute for Statistical Genetics (WISG) held at the New York University Abu Dhabi (NYUAD), Abu Dhabi, United Arab Emirates, last January 22-24, 2017.